In an effort to remain competitive and retain drivers, trucking companies have been raising driver pay at a rapid – and unsustainable – rate over the last few years. According to information from the National Transportation Institute, in 2014 the average driver wage increase in the second quarter was 3.1%. This year, the second quarter wage increase was 7.8% — more than double last year’s increase. These increases are even more significant considering the current inflation rate in the United States is at .2%. With the improved economic situation, the scarcity of truck drivers and increased demands to move freight, there’s no denying that trucking companies are in a difficult position. The industry’s response to the driver shortage has been to raise their pay. However, increasing the driver pay rate isn’t the only solution to this issue. 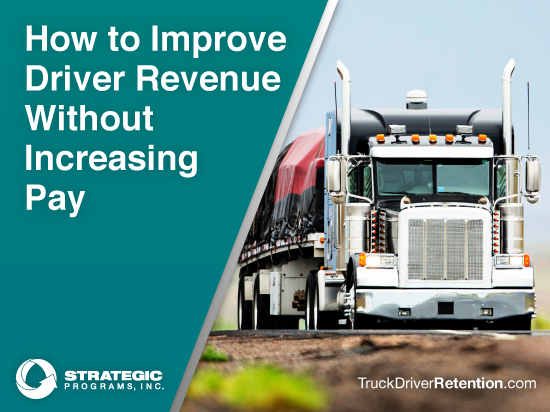 For a solution that delivers long-term benefits, it’s more important to optimize the driver’s revenue opportunities. The issues to which Yurkus refers involve the inefficiencies drivers experience while at shipper and receiver locations, when they might be stacked in line for a couple of hours waiting for an inspector, or simply waiting to load or unload cargo. Drivers are well-aware of the time and money they lose as a result of detention and dwell time. 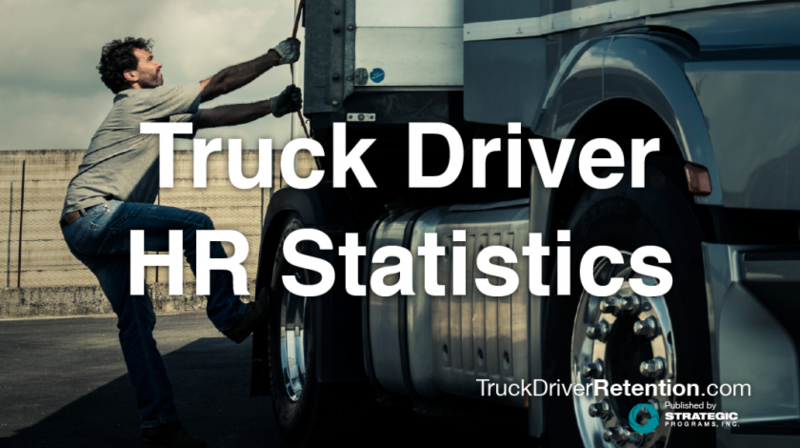 In the surveys conducted by Strategic Programs, Inc., drivers consistently mention time between loads as an issue. When you look at the numbers, their complaints are understandable. If a company driver makes $52,000/year, that’s about $25/hour. If detention pay is $10-15/hour, the driver is losing an additional $10/hour that he or she could be making while driving. This reduction in what they earn, as well as the frustration of waiting, has a negative impact on driver engagement. Low engagement levels can then negatively impact the business, in terms of safety, productivity, and turnover. It starts a downward spiral that every trucking company wants to avoid. Rather than bearing the burden by increasing driver pay, trucking companies need to work with shippers and receivers to find and leverage efficiencies that will help drivers get the most mileage possible and reduce their wait time. “Instead of boosting pay, look for ways to stop wasting drivers’ time,” Yurkus says. Offer coaching to shippers and receivers about how to maximize efficiencies. For example, this might involve allowing flexible appointment times, creating consistent shipment days, or working to expedite loading procedures. Offer incentives to shippers who meet expectations. For example, let shippers know they are eligible for a discount if the driver can pick up a load and leave their dock within 90 minutes. Penalize shippers that don’t meet expectations by charging them a higher rate, and then passing that increase on to the driver. In the research conducted by J.B. Hunt, by applying shipper practices such as offering flexible appointment times, expediting loading and unloading times, providing onsite accommodations, and accommodating drop and hook, truck drivers were able to potentially gain 44,375 miles per year, which translates into about $18,000 in take home pay, all without a pay raise. Trucking companies often feel stuck between customers that want good shipping rates and drivers who want to earn more money. But a data-driven approach can solve the problem without impacting a trucking company’s bottom line. Ultimately the way to address optimizing driver revenue through improved efficiency is for shippers and trucking companies to build a long-term, strategic partnership. “Shippers don’t want to torture you, let them know what’s going on,” Yurkus tells trucking companies. In one situation, a trucking company that was hauling crude oil from refineries to pumping stations reviewed their data and found that the biggest efficiency issue they had was the detention time drivers were spending while waiting at the pumping stations. Unfortunately, the trucking company felt like there was nothing they could do because that customer made up 70% of their business. Yurkus encouraged the trucking company to have a conversation and at least provide their oil company customer with the wait time data. When the oil company saw the data, they didn’t believe the wait times were accurate. They took on the challenge of testing the data themselves and conducted wait time research at the 10 worst of 23 pumping stations. As a result, the oil company took the initiative to put in extra pumps and had their IT department clean-up their systems to improve accuracy and efficiency. “In that situation, all it took was educating the shipper about the issues,” says Yurkus. If trucking companies want to stay in business, it’s essential to consider all the options before increasing driver pay rate. Using data to uncover ways to optimize efficiency and provide sustainable solutions will not only increase driver revenue without increasing pay, but will benefit trucking companies, shippers, and receivers for the long haul.